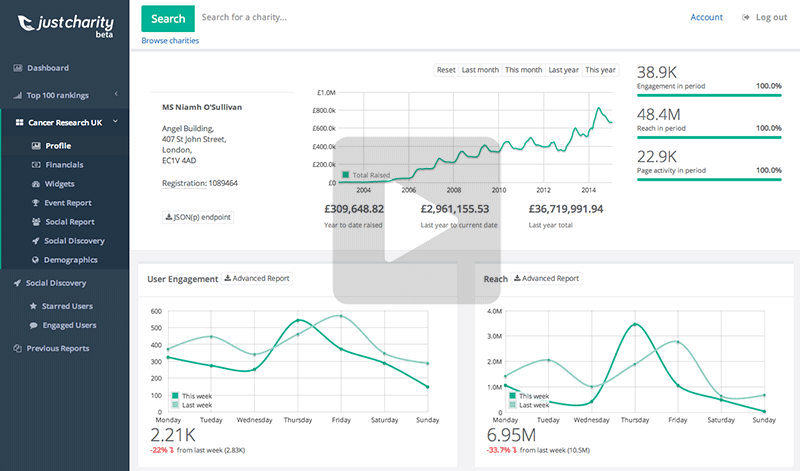 JustCharity provides comprehensive CSV export options for event summaries, charity overviews, top pages, social interactions and demographics. Custom reporting is also available across the > 1.5 million tracked fundraising events. Public and Private APIs are available for pulling data directly from our platform into your website or CRM. Widgets can be easily added to your website with no technical knowledge required, alternatively you can consume APIs directly and roll your own solutions. View and report on social and upcoming events and pages. Report on engaged users and view userbase demographics. Discover users engaging with your organisation on Twitter & Facebook, blogs and forums. View engagement, demographic overviews as well as trending events and pages. Filter users by charity, event and date. 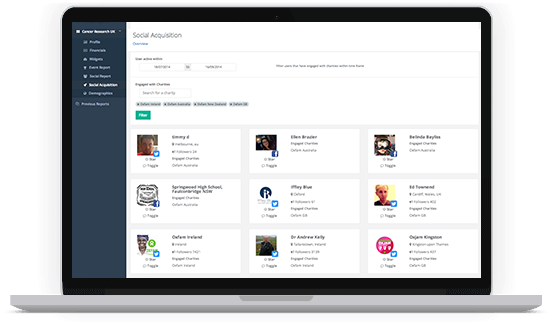 User overview with aggregate event and charity data alongside supplemental contact details and social profiles. Users can be added to lists for quick access, as well as overview data available via reporting. 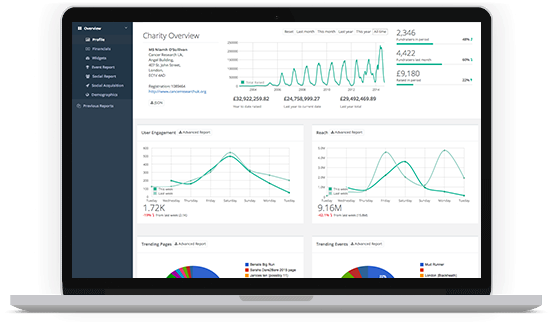 Tracking over 1.5 million fundraising events, contact JustCharity now to provide custom reporting for your whitepaper or research.